Bob Giraldi brings an independent hand to everything he touches. Whether it’s music videos, films, commercials, education or restaurants, his distinctive influence is immediately felt in all his projects. CG+News Article on Bob's McDonald's Spot "40,000 Friends"
One of the original "Mad Men", Giraldi was a creative director at the famous Y&R Ad Agency, winning numerous awards and in the middle of the early advertising creative revolution, earning him the distinction of being named as one of "101 Stars Behind 100 Years of Advertising." He has gone on to direct over 4,000 commercials. Giraldi set the tone for music videos in the early MTV days. His unique visual and musical storytelling abilities were first seen in Michael Jackson's "Beat It". The video swept the country and won numerous awards including that year’s coveted American Music Award, the Billboard Music Award and the People’s Choice Award. Working with music luminaries such as Pat Benatar, Paul McCartney, Lionel Richie, Stevie Wonder, Diana Ross, Ricky Martin, Hall & Oates and Will Smith, he continued to win, acclaim and define the future of the medium with videos like "Say, Say, Say," "Love is a Battlefield," "Running with the Night," “Don’t Drive Drunk,” "Hello," and “Just The Two of Us”. In addition to directing Jon Cryer's teen cult film, "Hiding Out" (1987), Bob Giraldi’s feature film, “Dinner Rush” (2000), with Danny Aiello, John Corbett and Sandra Bernhard, appeared on a number of 2001’s Top 10 lists and was selected for the prestigious New Directors/New Films Series at MoMA. This film clearly has had an influence on several present day reality restaurant series. Among all the awards it was also listed by Roger Ebert as "One of the Best 100 Films in the Last 10 Years." Giraldi’s independent films have also garnered numerous awards and have found their way into collections as diverse as the Baseball Hall of Fame and the Museum of Modern Art. He has been inducted into the NY Art Director’s Hall of Fame, one of the few film directors to be honored. These days, Giraldi's medium of choice is short filmmaking, and he's proved both prolific and acclaimed with the array of short stories he's brought to the screen over the past two decades. His short film, “The Routine”, premiered at Sundance and won Best Drama at the Los Angeles International Short Film Festival. Another short, “My Hometown”, is now in the Baseball Hall of Fame’s permanent collection and two short films; “Dream Begins” and "A Peculiar City," both integral parts of New York’s national Olympic bid, is now part of MoMA's permanent collection. His film “Second Guessing Grandma”, 2008, examines the coming out of a twenty-something to his 83 year-old grandmother received the Jury Award for Short Narrative at the 27th Annual Chicago International Film Festival and won the Audience Award for Best Short at the Fresno Reel Pride Festival, one of the largest US gender film festivals. It was also hand-selected to be in the new Google YouTube Screening Room, after it was the #3 most viewed video of the 2008 holiday season. More recently, he's directed two short films which have been successful at various festivals across the country; "A Poet Long Ago," (2014), starring Steve Schirripa, and "A Conversational Place" (2015), starring Marilyn Sokol. His latest short, "New Year's Eve @ Sunny's", is set on the last night of 1972, in Red Hook Brooklyn, and follows a young man who has just returned from the Vietnam War. Unable to rid his mind of the horrors he saw and performed over there, he is only barely saved by a mysterious woman he meets on the waterfront that night. The short film is currently in post-production, and scheduled for a release this Spring. In 1995, Giraldi and his executive producer, Patti Greaney, created the original website; StarChefs.com, featuring celebrity chefs and cookbook authors. StarChefs.com continues to be the foremost website used by professionals and food aficionados. His new media division has created the Out of Hand Festival, an International contest and partnership with the School of Visual Arts for content created by students around the world devoted to the art and technology of mobile phones. Students from 80 countries responded to the call. Its most recent project is a new mobile phone app; Rush Hour Meals and Cocktail Dog. 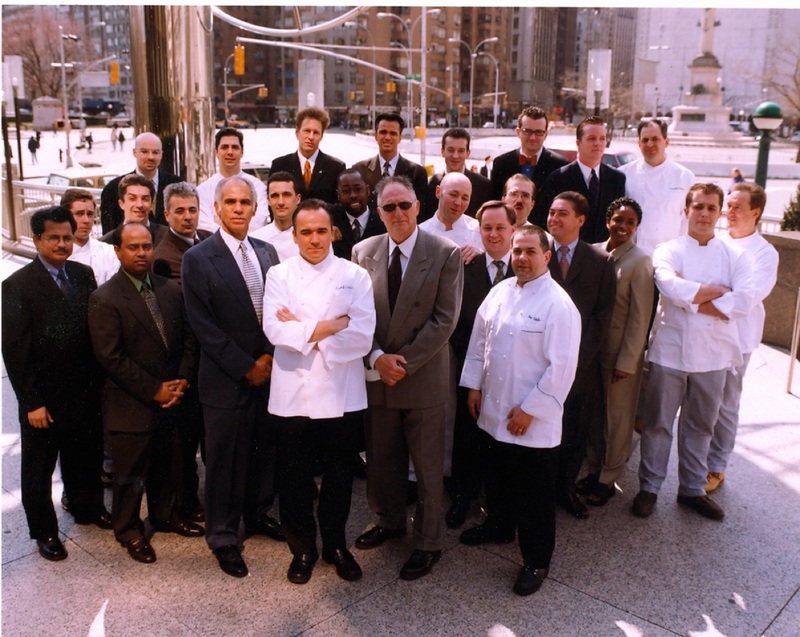 Always hungry for something new, Giraldi, threw his hat into the New York restaurant ring, by opening Jo-Jo with Jean Georges Vongerichten in the early ‘90’s. Giraldi then helped start the Jean-Georges 4-star namesake restaurant as well as Vong and its London and Hong Kong outposts. Giraldi was also co-owner in Patria and Mercer Kitchen, both of which received 3 stars from The New York Times. His Tuscan fare eatery BREADTribeca has earned 2 Stars from The New York Times and his Diablo Royale has become a popular taqueria among young people in the West Village. Both Gigino Trattoria and Gigino at Wagner Park remain Italian favorites in Tribeca for over 10 years. Mr. Giraldi has been on the faculty of the School of Visual Arts for over thirty years. He is currently the Chair of SVA's newly formed MPS Live Action Short Film Program. 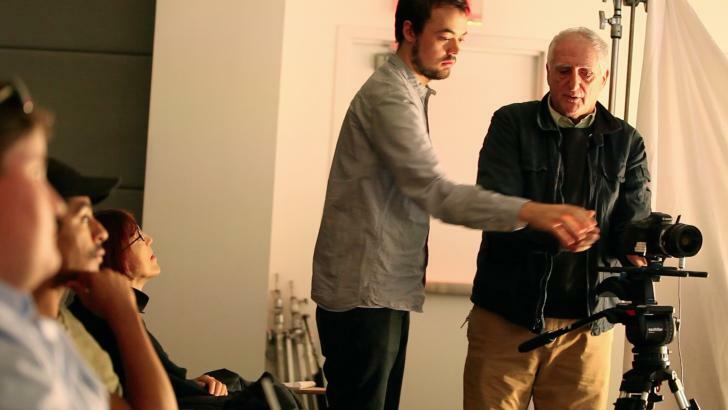 The graduate program celebrates the truly independent art of filmmaking, honoring first-time filmmakers, instructing them about the history of short film, and outfitting them with the creative, technical, and critical tools needed to impart their artistic visions. Mr. Giraldi lives in Manhattan with his wife and daughter.